An exhibition of industrial products of Uzbekistan and Kyrgyzstan was held during the visit of the President of Kyrgyzstan to Uzbekistan . Products of companies operating in various industries, innovative projects and development of research and production centers were presented. The leaders of two countries got acquainted with the products and developments presented at the exhibition, including the e-commerce platform Qoovee.com. 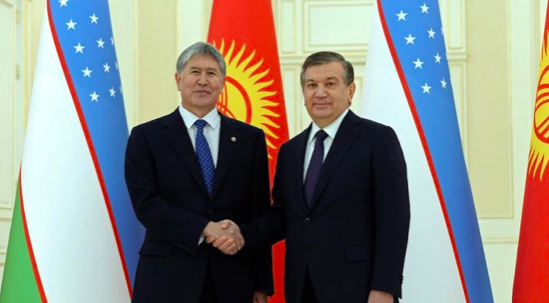 Before that, the platform was presented to Ministers of Economy of Kyrgyzstan and Uzbekistan. The Qoovee platform started to play a significant role in the two-way trade of Uzbekistan and Kyrgyzstan, and also actively promotes export and entry into the markets of third countries. Today, about 1000 companies from Kyrgyzstan and Uzbekistan trade on Qoovee.com. Top 100 apparel suppliers. Qoovee started to build a directory of the best suppliers.